Dermal needling is done with an electronic device that uses multiple fine needles to vertically pierce the skin. This causes collagen remodelling and enhances skin rejuvenation. Unlike needle rollers, Dermapen uses a precisely-controlled stamping method to reach a set depth in the skin while minimising excess damage to the epidermis. The Beauty Clinic is proud to be one of the first to offer this treatment in Sydney. 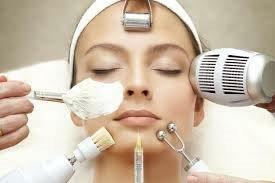 Dermapen treatments can be repeated every 3-4 weeks.